Set in the scenic Shenandoah Valley, the Luray Triathlon is known for its gorgeous setting, its tremendous course support and the welcoming residents of Luray, Virginia. 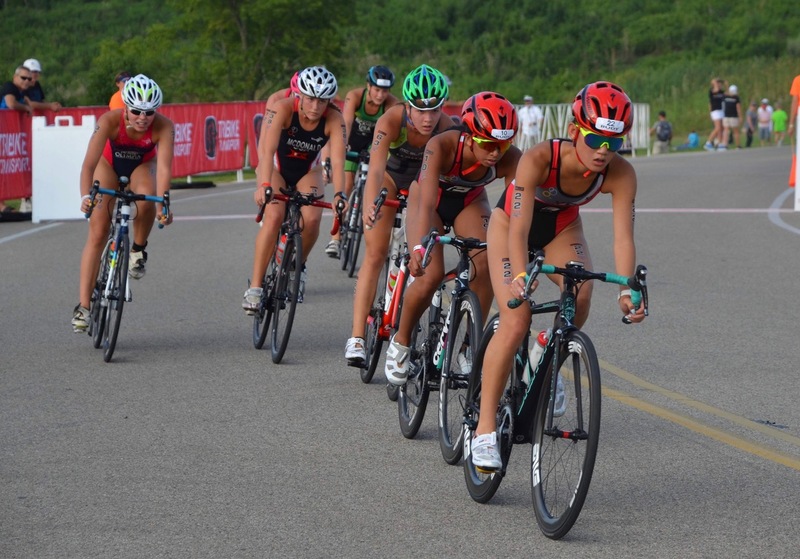 It offers an International Triathlon and a Sprint Triathlon. A swim in pristine Lake Arrowhead warms athletes up for the biking on paved roads through the woods and farms of Page County. The run is a scenic course with rolling hills, all on paved roads. This year, Racine MultiSports will host the USAT Virginia High School State Championship on Sunday, August 19, 2018, at the Luray Sprint Triathlon. 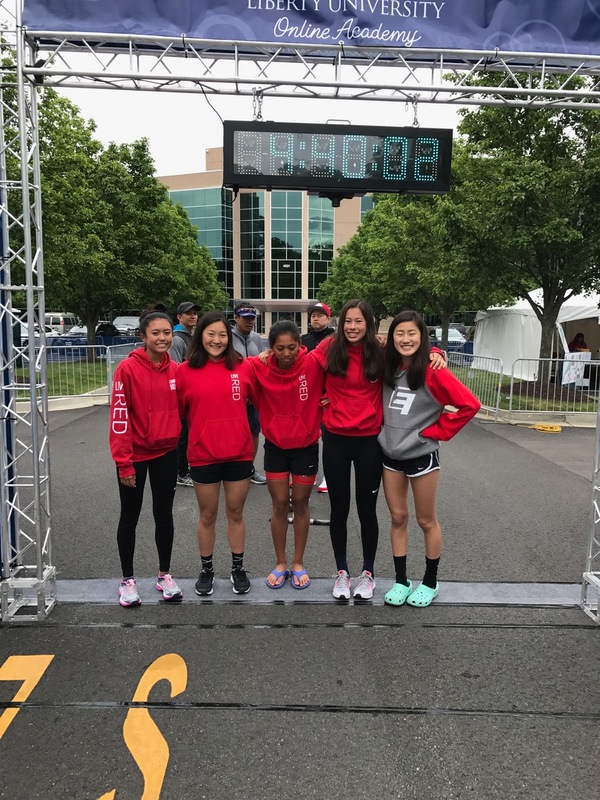 Several competitors from Riverside High School’s Triathlon Club, in Lansdowne, Virginia, will be competing in the Luray Sprint Triathlon as part of the USAT Virginia High School State Championships. 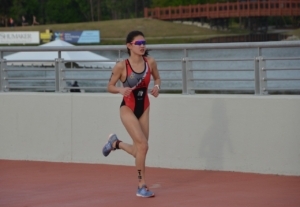 Sixteen-year-old Hannah Ye, who’s been participating in triathlons for almost four years, will be doing the individual race. She started the Triathlon Club with her friends and sponsor Andrew Koons at the start of her freshman year. After completing her first triathlon at the age of 12, Ye was hooked. She joined team Endorphin Fitness, coached by Kevin Mallon, and started doing races at the elite level as a Youth Elite (ages 13-15). This year she moved up to Junior Elite (ages 16-19) races. The elite races consist of 4-6 races that can earn competitors a spot at nationals. 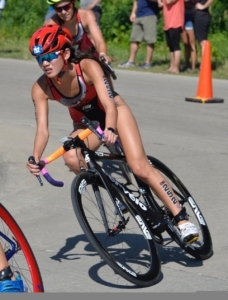 Last year, Ye placed 7th among Youth Elite Females at the USA Triathlon Youth and Junior National Championships. She’ll be traveling to Cleveland, Ohio, to participate in nationals again this year, August 11-12, 2018. Ye also trains with her friends and fellow club members from Riverside High. “We try to get as many people together as we can to do a group run or activity,” she said. “We try to make it fun and a good learning experience.” Ye also said they’re not allowed to bike out on the roads, as a club, for safety reasons. Ye plans to compete in triathlons through high school and then in college as an NCAA sport. “Triathlon is an emerging sport and there are more colleges adding triathlon as one of their NCAA sports,” she said. “If I can’t compete in college, I would do club triathlon or swimming in college. 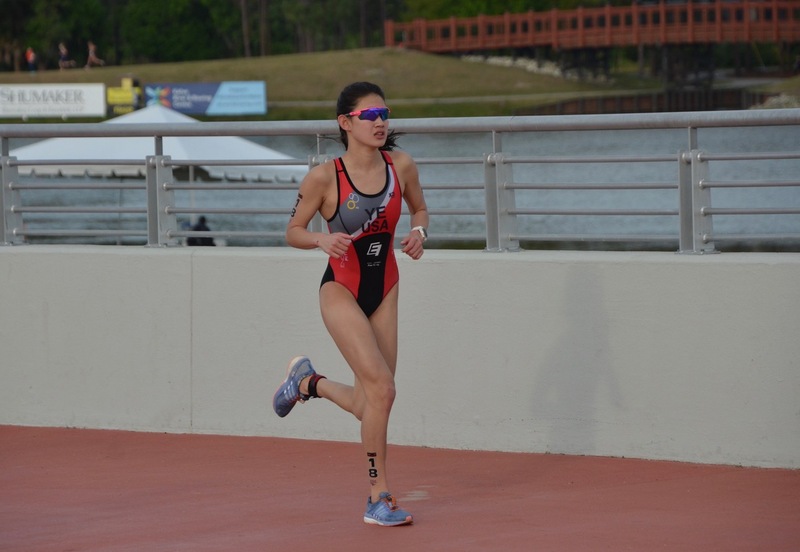 My goal is to be able to represent the United States or another country in the ITU races.” ITU, or The International Triathlon Union, is the international governing body for the multi-sport disciplines of triathlon, duathlon, aquathlon and other nonstandard variations. With Ye’s focus and determination, there’s no doubt she may make that goal a reality. 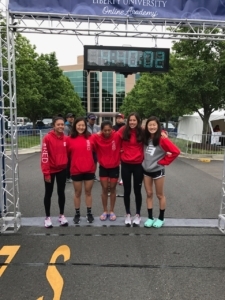 Pictured above are members of the Riverside Triathlon Club including Sarah Menchavez, Chloe Ramirez, Jordan Pham, & Hannah Ye all competing in the USAT Virginia High School State Championships at the Luray Triathlon. 1) Must be a high school student for the 2018-2019 school year. 2) Sign up for the Luray Sprint Triathlon at this Link and choose “HS Championship Sprint Tri” registration type for an individual option for only $50 or “HS Championship Sprint Tri Relay” for relay option for only $90 per team. 3) There is no qualification needed, however, USAT will require that you have an annual membership for $10. You can pay for this membership during registration.